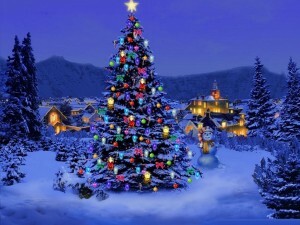 Greeting to all with the Spirit Of Christmas dwelling within them! Feel free to ask me any question about Me, my family, North Pole City, or Christmas in general. Unfortunately I can’t fulfil personal requests here because of the Supernatural Secrecy Pact. This includes requests to visit North Pole City, having me visit you, personally contact you, healing health issues, and fulfilling other wishes. Even as a Demi-Angel I still have higher powers I must answer to, and I could get in trouble for any violations of Universal Laws. If various enchanted events are meant to happen then fate will make it so. Please send your Christmas wish list by postal mail only. My Elves can get very ornery when their official gift production system isn’t adhered to. Thank you, and Merry Christmas!